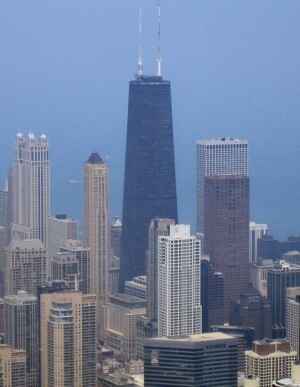 John Hancock Center at 875 North Michigan Avenue in the Streeterville area of Chicago, Illinois, is a 100-story, 1,127-foot (344 m) tall skyscraper, constructed under the supervision of Skidmore, Owings and Merrill, with chief designer Bruce Graham and structural engineer Fazlur Khan. When the building topped out on May 6, 1968, it was the tallest building in the world outside New York City. 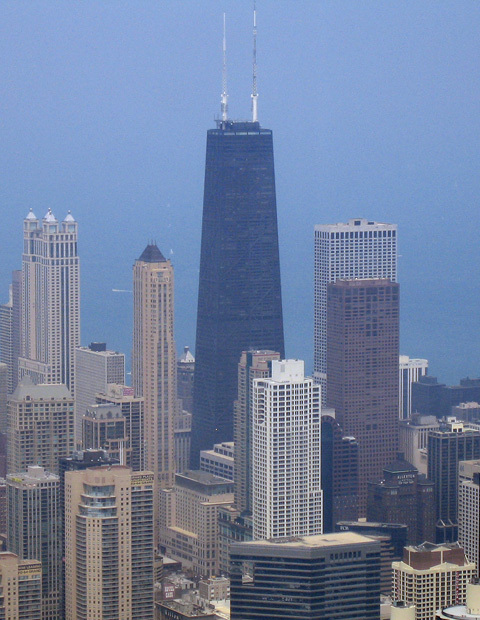 It is currently the fourth-tallest building in Chicago and the sixth-tallest in the United States, after the Willis Tower, the Empire State Building, the Bank of America Tower, the Trump Tower Chicago, and the Aon Center. When measured to the top of its antenna masts, it stands at 1,506 feet (459 m). The building is home to offices and restaurants, as well as about 700 condominiums and contains the third highest residence in the world, after the Trump Tower also in Chicago and the Burj Khalifa in Dubai. 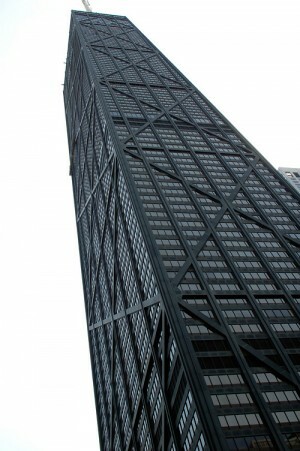 This skyscraper was named for John Hancock Mutual Life Insurance Company, a developer and original tenant of the building. 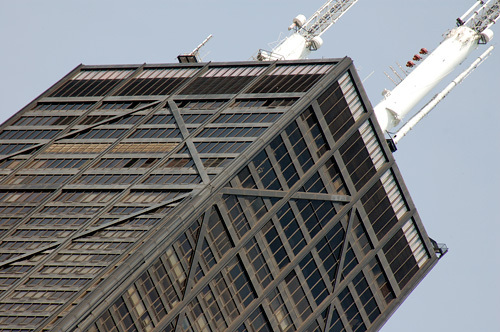 The 95th floor has long been home to a restaurant, the latest tenant being "The Signature Room on the 95th Floor.